Join Horizon Community Church for an Easter Celebration Service! The 40-minute service will be a meaningful and triumphant celebration of Christ’s resurrection, highlighted by worship music. 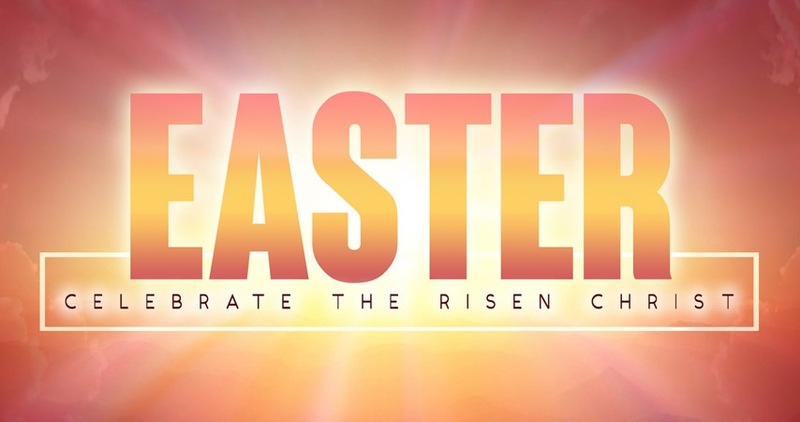 There will be seven identical Easter Services held on Saturday, April 20th at 3 p.m., 4 p.m. & 5 p.m. and Sunday, April 21st at 8:50 a.m., 10 a.m., 11:10 a.m., and 12:20 p.m. There will be a complimentary brunch offered on Sunday, April 21st to those who attend the 12:20 p.m. service. If you plan to attend the brunch, RSVP using the information on the back of the 12:20 p.m. ticket. Seating may be limited. Register everyone in your party soon! To manage capacity in the Chapel, each Easter Service will be a ticketed event. Beginning March 23rd complimentary tickets will be available after each service at the tables in the rear Atrium. Please take a ticket for everyone in your party, including children. Please bring your tickets with you and plan to arrive at least 20 minutes before the service starts. Children and student programming will not be offered on Easter weekend. Childcare for infant through Pre-K will be offered in E-Station. Childcare does not require a ticket. Please return tickets that you will not be using to Horizon. These tickets will be reallocated to others who may want to attend that service time. The Horizon team is looking forward to seeing everyone on April 20th and April 21st as we celebrate the resurrection of Jesus Christ! 8:50 a.m. – 9:30 a.m.
Childcare for infant through Pre-K will be offered in E-Station.